A quick analysis of the history of photography points outthat alterations of images have always involved artists,already in the second half of the 19th century are numerousexperiments that gradually are able to use chemicalmaterials that offer the possibility of reproducing the subjectindefinitely. The huge suc cess of photographic portraiturehad a significant appreciation in the market of the Visual Artsthat with excessive optimism pointed to a new classicism. Itwas later legitimized nature photography with clear attitudespre-Impressionist. But already with the Impressionists wasthe very first manipulation of photographic images withsimple interventions; swing slightly the tripod beforeshooting, or put in front of the lens oily substances. In thefirst decades of the 20th century takes shape a Visualsearch-dynamic with photodynamism Futurist by AntonGiulio Bragaglia. From Alfred Stieglitz’s Photo-Secessiongroup leader with the help of small portable equipmentsought with shots instant, to immortalize Cubistvisions present in reality. Subsequ ently the dadaists beganto manipulate the image through the camera obscura givingwide space to the montage and collage, developing thepoetics of randomness. Digital manipulations then belong tothe current daily life. In theforeground is filled in with the movement of the subject again, in particular determining capture the multiplicationof the template in different sequences. Create in one imagea sort of collage of many frames makes possible photographic dynamism. But the photographic research ofBragaglia had no particular consensus perhaps because the cinematography made it better the concept of movementthat was the essence of futurism, but also because thefuturists took the photograph at little or no account(Exibart/futurists : against photography? Claudio Marra10/04/09). 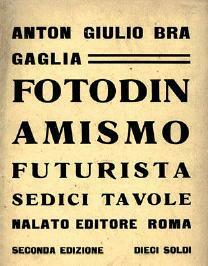 However, the publication of the book written byBragaglia, called “Futurist Fotodinamismo” sparked a reaction of the theory by Anton Giulio within the Futuristmovement. Writes the painter Boccioni to Sporvieri, Directorof the galleria romana di via del Tritone engaged in draftinga futurist exhibition: “I recommend, I am writing on behalf ofthe friends futurists, exclude any contact with thephotodynamic Bragaglia …”. (http://www.cultframe.com/lafotografiaelealtriarti/Futurismoefotografia) I personally consider the Fotodinamismo ofBragaglia of extreme modernity to a new vision of realitythat escape the perception of our eye. It’s a different way toaim the camera lens on reality. The contribution whichreceived expressive evolution of photographic productionwas undoubtedly notable. It’s for several years that I consider the excitement of finding a clear solicitation todeepen the experimentation Bragaglia dynamism in photoproduct. Multiple representation of the trajectory of motioncan develop an alternation of planes that intersect withmore surfaces simultaneously I consider establish a dynamic force anda considerable chromatic valence.